Every rehearsal, his attentive eyes are surveying the entire stage. He notes every detail from principal dancer to supporting prop, from backdrop to orchestra pit, and misses nothing in between. Even the unobtrusive side curtains remain within his careful and constant supervision. A passion for the stage, a dedication to traditional culture, and a meticulous nature—this is how Gu Yuan keeps on top of the multiple story dances he choreographs each year. 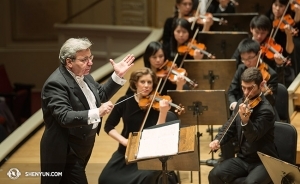 Since 2006, Shen Yun has become the world’s leading classical Chinese dance and music show. Each year, Shen Yun’s four (and now five) companies have toured to 100-plus cities across five continents. Their mission is to present the beauty of traditional China across the globe. 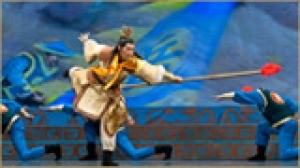 Through classical Chinese dance, a unique East-West infused orchestra, thousands of handmade costumes and accessories, and state-of-the-art backdrop projection, Shen Yun brings audiences the ancient kingdom known as the “Land of the Divine”. Myths, legends, and historical records throughout China’s dynasties tell of divine beings descending to Earth and establishing Chinese culture. The ancient Chinese attributed all aspects of their civilization to the heavens, including Chinese script, medicine, attire, philosophy, as well as music and dance. Much of this is all but lost in modern China. Meanwhile, outside and independent of China, Shen Yun and its dedicated artists like Gu Yuan are effecting a sweeping renaissance to revive ancient treasures. Gu Yuan graduated from Beijing Academy of Dance majoring in classical Chinese dance and became a choreographer with hundreds of work to his name. 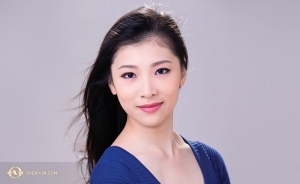 In 2012, Gu Yuan immigrated to the U.S. to join Shen Yun. 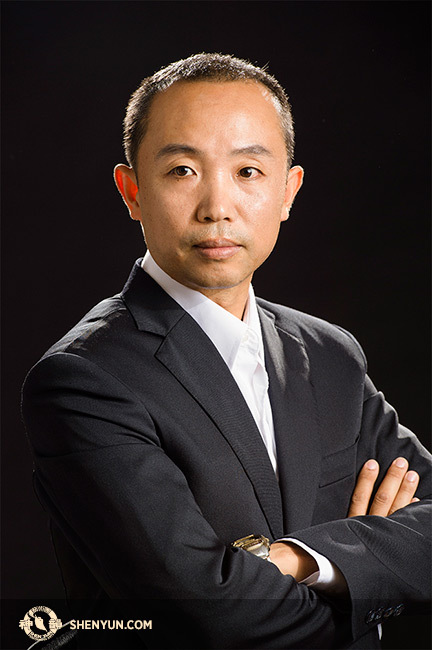 ‘Highly organized’ is how everyone who’s worked with Gu Yuan would describe him. Here is a choreographer who knows the movements for every role, the timing for every bit of action onstage and off, and where anyone or anything should be at all times. And conversely, he expects utter precision from each dancer, musician, and stage technician too. Gu Yuan’s favorite way to introduce a dance is with a story. “Gather around…” he’d say no matter how little time he had to work with, because everyone must understand what he or she is portraying. 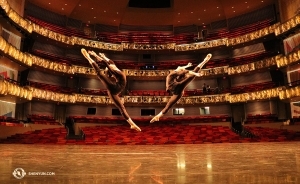 Among Shen Yun’s brand new set of programs each season are well-loved stories from history, literature, and mythology. Monkey King and the Dragon Palace, The Lady of the Moon, and Ne Zha Churns the Sea— action-packed yet meaningful pieces— are among Gu Yuan’s works. As the pre-2017 rehearsal season draws to a close, we were able to meet with Gu Yuan for a chat. 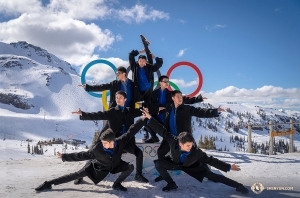 Q: What would you say makes Shen Yun different from shows coming out of Mainland China? GY: Shen Yun is based outside of China. This says a lot. It means we’re not confined by the government’s censorship. In recent years, while traditional culture is being repressed and fading within China, overseas we can celebrate it to the fullest. Yet we’re the only performance organization to do this on such a large scale. 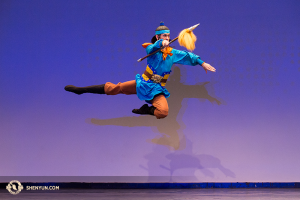 Shen Yun’s mission is to share the beauty of Chinese culture and arts—our tales, legends, and everything that 5,000 years of history have taught us—and all through authentic Chinese dance. It’s the real deal. This is why when I first heard of Shen Yun, I immediately set my mind to come. I knew this was where I had to be. Q: Could you elaborate on authentic Chinese dance? GY: Classical Chinese dance is actually one of the most comprehensive dance systems in the world. Throughout thousands of years, it’s been refined into a defined and distinctive dance system embodying traditional aesthetics. Choreographers and performers love classical Chinese dance for its expressivity. 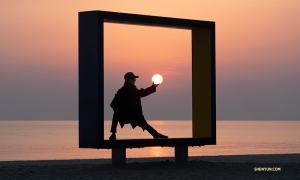 There are hundreds of unique postures and movements, but there’re also countless ways you can expand on them to express yourself. Plus, there’s an extensive array of techniques: jumps, spins, flips, aerials, and tumbling. These make dances look more impressive and exciting. But as choreographers, the real reason we incorporate techniques is to portray our characters and stories more precisely. Q: What is your vision for your choreographies? 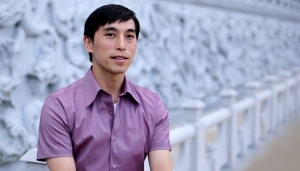 GY: After coming to Shen Yun, I realized the theme I wanted transcending through all my pieces is the connection between humans and the divine. Actually, the traditional Chinese belief is that our culture was given to us by the gods. They established our civilization, and gave us everything we know. They established our way of life. That’s what makes Chinese culture so precious. And also why it’s such a shame we’re losing touch with traditions. I want my dances to display different elements of this divinely inspired culture, so they can live on in the hearts of the audience. 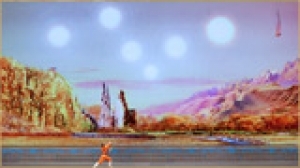 Q: Audience members love the interaction between Shen Yun dancers and the special effects on the digital backdrop. How do you make it happen? GY: For our backdrop effects to succeed, it takes enormous collaboration between multiple departments. Designers, technicians, conductors, choreographers, and performers—everyone has to work together to achieve a satisfactory result. It’s a complicated technique, and every bit has to be on the dot. I won't say anymore though. That would be divulging secrets. Q: Can you tell the audience what they can expect for Shen Yun 2017? GY: I can’t wait for the new programs to meet the audience. We’ve prepared a wide spectrum of stories and dances from different dynasties and ethnic groups. Everything is almost perfect for the next season, and I’m confident they won’t disappoint. Come prepared for lots of laughs, and maybe a few tears too. You’ll be in for a grand time.